I use my voice a lot. I give talks at conferences, I teach workshops for GDI, and I record videos for Khan Academy. But I’ve never loved my voice. I grew up with British parents, so I spent my life wishing I had an accent that sounded as smart as theirs. And now that there are videos of my voice on the internet and comments underneath those videos, I know that there are a few aspects of my voice that don’t always work so well, like the clarity of my pronunciation, upspeak tendency, and verbal tics. I thought I’d go the DIY route first, by watching Youtube videos on how to have a British accent, figuring that’d solve all my problems. 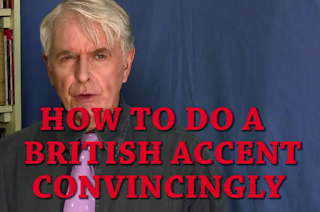 Unfortunately, that backfired - I attempted a more British pronunciation in my next video, and succeeded in sounding like I was speaking through marbles in my mouth. So I decided to enlist the help of a professional: a voice coach. It took a bit of wading through singing voice coaches to find a coach that focuses on speaking for every-day life and presenting: Alicia Bales. We started off with a consultation, where I described in my own voice what I wanted out of my own voice, and then she recorded my voice going through various exercises, like counting as high as I can in as high of a voice as possible. She wrote up a multi-page analysis of my voice with recommendations for key areas of improvement, and came up with a 12-week syllabus for how we’d get there. The full 12 weeks is a bit pricey, but thankfully, my employer Khan Academy agreed to count it as a professional development opportunity. Over the next 12 weeks, we went through a wide range of exercises, in diaphragmatic breathing, tonal sounds, pronunciation, articulation, word emphasis, and more. I started noticing an improvement in my voice recordings after just the first few sessions, and a definite improvement after we were all done. I don’t need a British accent to sound “smart.” That’s what I told her the first day, and we proceeded to have interesting discussions about why I thought that, and what are the actual aspects of a voice that sound “smart.” Now, I’m happy with my accent, and I focus on having a clear voice and articulation. I’m much more aware of my voice, and the states it falls into. I can tell when it’s low energy (when it “fries” - which isn’t as clear) and I have strategies to bring energy and clarity back into my voice. I can see the correlation between my voice and my confidence. I go into a low energy voice when I’m in a situation where I’m intimidated or don’t want to be intimidated. Now that I can see that correlation, I can actively decide if I want to stay with that voice (like if it increases intimacy) or if I want to switch into a clearer higher energy voice. I always knew that I “mispronounce" a few words due to the influence of British parents, like “idea” (idear!). Now that I’ve gone through entire vowel/consonant pronunciation worksheets, I have a full list of all the words/sounds that I pronounce in the more British way. I can actively decide whether to stick with that pronunciation or gradually move over to an American pronunciation (like “dodder” vs “dotter” for “daughter”). My voice coach was careful not to prescribe that I had to always use American pronunciation - she just wanted to make sure I was aware of it. I have a better understanding of how breathing works, thanks to the diaphragmatic breathing exercises and binge-watching 3d simulations of breathing on Youtube. I was confused before by “breathing in” (which actually pushes the stomach out) and “breathing out” (which brings the stomach in), and always felt not quite right during meditation and yoga breathing. Now, breathing is coming more naturally. I learned much more than that, of course, and I’m still working on applying what I’ve learned. One day, when I have time, I would love to have a voice study group to give me an excuse to be more regular about practicing. I highly recommend voice coaching for those of you who feel a need. I loved getting to know my voice so much better and learning ways I could make it more of a powerful tool in my life.